“Best” is subjective. There are so many Linux Distros as there are needs of people. 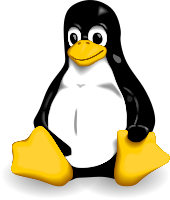 See – Linux wikipedia – if you are new to Linux (created by – Linus Torvalds). I have been using Ubuntu, since (from Ubuntu 8) I started using Linux permanently in Dual Boot. Before that I had tried Fedora and Open SUSE and was dissatisfied, but both have improved a lot now for new users. Since the latest “Ubuntu – Unity, Gnome Shell 3, KDE 4, Windows 8 Metro UI” fiasco and the dissatisfaction (all 3 shifted to Mobile, Tablet, Touch Screen friendly interfaces, which are pointless while using keyboard and mouse and make multitasking difficult on PC, main problem being applications cannot be minimized to taskbar and multiple applications clutter whole desktop, so more than 4-5 running applications is not practical even on a 22 inch monitor, figure why people buy big monitors). I have been reading a lot of blogs, comparison, wikipedia for info and opinions as to Best Desktop Linux for new users comparable in ease of use to Windows XP and Windows 7 (hint – Linux Mint now, Ubuntu Previously before heavens fell). 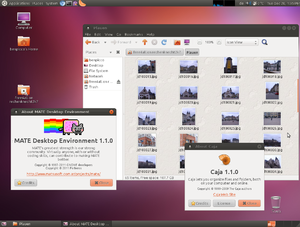 Controversy over GNOME 3 and Desktop Metaphor. The information I put is based on discussions on various blogs and forums, reviews searched in google coming on first page. I have put my views at least places, and tried to give general public view as much as possible. 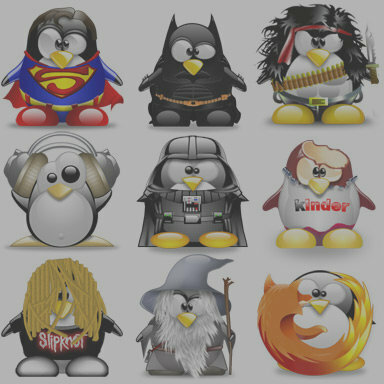 I have only considered best popular options for Desktop Linux, with which a average intelligent home user is concerned. It is good to learn Linux or any new thing but when a average intelligent user just wants to get work done or have entertainment he wants to save maximum possible time, and do things quickly as there are other important things in life of people also like meeting a girlfriend instead of learning linux, searching google just to install the downloaded Nvidia Linux Driver to play Quake 3 Arena and get going, or just finish writing some chapter of a novel in Libre Office or editing photos in Gimp. (All common tasks I do and want to do as quickly as possible with least hassle). Time is a valuable thing that should be saved and put in useful, interesting and big things in life, to make life better. 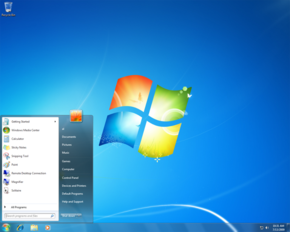 One criteria I consider is MS Windows(Windows XP or Windows 7) has the best, easiest, working User Interface so I put it as bench mark. 1. 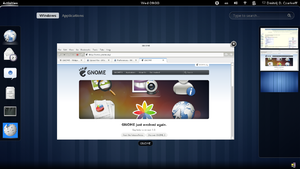 Gnome – Gnome wikipedia – Gnome 2 was the best DE till now, almost similar to Windows, so easy to use, very configurable. Gnome 3 is better but the Gnome Shell on top of it is more suited to touch screens than Desktop.Not to forget the large array of Gnome compatible GTK applications like GIMP, which are considered bit better than KDE counterparts. 2. KDE – KDE wikipedia – Open SUSE is the best distribution with KDE. KDE is more eye candy, but usable DE. But it just falls a bit short of GNOME. KDE apps are rated second to Gnome counterparts in general. 3. 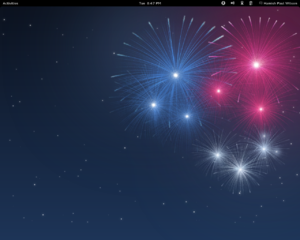 Unity – Unity wikipedia – Ubuntu’s answer to GNOME Shell based on GTK3. It is better than Gnome Shell for “Touchscreens”, but a mess on desktop(file menu for apps is in taskbar), highly unintuitive. 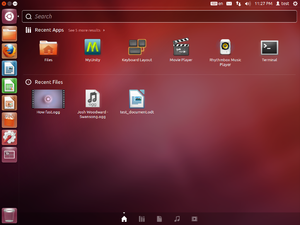 It also shows the direction of Ubuntu to be on mobile platforms. NOTE – GNMOE, KDE, Ubuntu did not listened to users for providing dual alternatives one for classic DE like Windows or Gnome 2 and other for touch screens as they wish like Android(based on Linux), and just pushed straight ahead with touch screen centric design. This has irritated majority of Linux Users. 4. 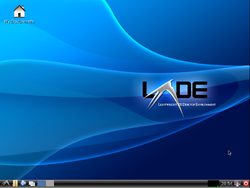 LXDE – LXDE wikipedia – Great in its own right, but serves a specific purpose, eye candy on old hardware. 5. 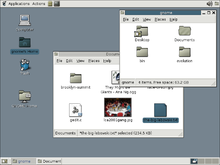 XFCE – xfce wikipedia – Again very good, similar to Windows, Gnome 2, configurable, easy. But it seems to be made up of parts from here and there and not a cohesive whole. Still it has to go a long way(like Thunar (xfce) is no where near Nautilus (Gnome) as a File Manager). But note that all major Distros ship a xfce version. Software selection with xfce is also a question. 6. MATE – MATE wikipedia – Gnome 2 Fork, many people think it will die as by design it is based on old dying tech. But MATE is highly stable, easy, very configurable DE. It is great to use. Just its future is uncertain(less developers, old tech). 7. Cinnamon – Cinnamon wikipedia – The Prom Queen right now. Developed by Linux Mint developers. Looks like Windows or Gnome 2, based on GTK3, sufficiently configurable, shows what can be done with GTK3(Gnome Toolkit 3), as an alternative to Gnome Shell and Unity. Liked by majority. Cinnamon is available for Fedora, Open Suse, Ubuntu. For Debian, the complete LMDE(Linux Mint Debian Edition is available, see below for more details). Linux Mint is currently most popular and easiest. Also it comes with all essential software, codecs, and closed source software very necessary these days in a basic computer for a home user. Same was the case with Ubuntu in the beginning and these traits took Ubuntu to unprecedented heights. These same qualities make the future of Linux Mint and Cinnamon very rosy. And Linux Mint is certainly capitalizing on the opportunity. My main criteria for ranking is ease of use(Ubuntu, LMDE), stability(All discussed here), reliability(should not kill windows ntfs partition by a write operation), selection of useful software for day to day user(Ubuntu dropped Gimp in Ubuntu 10), easy installation(Ubuntu is best as it can be installed inside windows also). The Summary of Linux Distributions and my findings are as follows. 1. 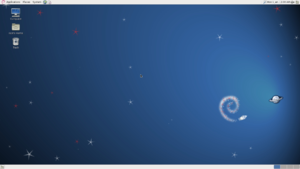 Debian – Debian wikipedia – Debian is Old (long running), Stable, Universal (run on almost every architecture), has more than 29000 packages(software), best package manager (APT) (resolves dependency right). Debian simply is the best all rounder. 2. 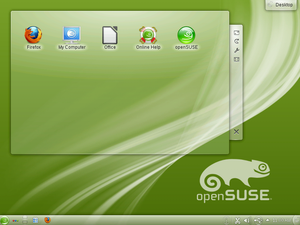 Open Suse – Open Susue wikipedia – Open SUSE DVD is very good for new user, contains all necessary software(lots of it), has good KDE and GNOME, easy and the best alternative to Debian/Linux Mint/Ubuntu. Its biggest drawback is RPM based package manager and stupid while updating software. Note – Servers – All three are very good for server too and secure enough and equally. Add CentOS an ArchLinux also to the mix for servers. CentOS is more focused on servers and ArchLinux is command-line and very difficult to setup and use for home user. 1. Ubuntu – Ubuntu wikipedia – Ubuntu is based on Debian. Ubuntu became the most widely spread and popular Linux Distribution(20 million users), in last few years. For many people Linux meant Ubuntu thanks to magazines. But it was adopted by governments, universities, came pre-installed on laptops, was easiest to use for even a new computer user, got the work done till Ubuntu 10.04 LTS. But the its parent company Cannonical started pushing its own agenda ignoring the users and the result was Unity fiasco (Unity is forced on users in Ubuntu, instead of an alternative). This has pretty much pushed Ubuntu back if not killed it, but as well may kill it. 2. 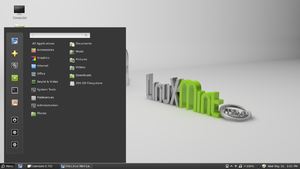 Linux Mint – Linux Mint wikipedia – Linux Mint main edition is based on Ubuntu and itself is an Ubuntu derivative with some essential free codecs, plugins, multimedia software, which makes it very useful for new users like Ubuntu on batteries. Also as discussed above it supports the famous Cinnamon DE based on gnome 2 and Windows UI design and is just the fastest, easiest and best for getting the work done. Many people have pointed that Linux Mint uses Ubuntu packages, but that is the whole point of open source creating, sharing, improving. In such a setup stupidity gets weeded out fast (Windows anyone? ), the good parts remain and may transform in something more usable. If ever Ubuntu stops, its code is still open source and that will not stop anyone from improving from there. One can even fork any Linux Distro right now for better if he/she so wishes, and if it is good it will be certainly become King (Linux Mint) and Queen (Cinnamon). UPDATE – The Linux Mint Cinnamon Ubuntu based Version is, The King and the winner of Best Desktop Linux. 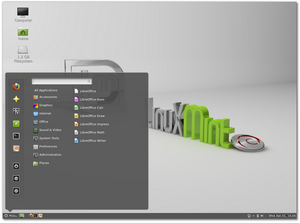 LMDE – Linux Mint Debian Edition – The good people behind Linux Mint made a Linux Mint distribution based directly on Debain. Highly anticipated and acclaimed since its release it is almost at par with Ubuntu based edition cutting the middle men that is Ubuntu. Only big difference is that currently LMDE cannot be installed inside windows like Ubuntu or Linux Mint main edition. 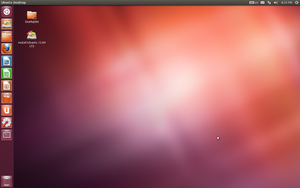 Also this cuts down the dependance of Linux Mint on Ubuntu. LMDE is more difficult to use as compared to Ubuntu based version though and is recommended for advanced users only. It should be noted that Debian itself is a bit difficult to use for new people.